If your organization is currently operating an IBM System z mainframe, or older System/390 mainframes, we can help you save money and resources by outsourcing your mainframe environment. IBM’s eServer zSeries was designed to succeed the previous System/390 while maintaining full backward compatibility. IBM’s current operating systems, z/OS, z/VM, and z/VSE are improved versions of legacy operating systems. Applications written for all the legacy systems can still run, without modification, on the newest available System z server and operating systems. Read our case studies and learn about the mainframe outsourcing consulting we’ve provided to our clients. 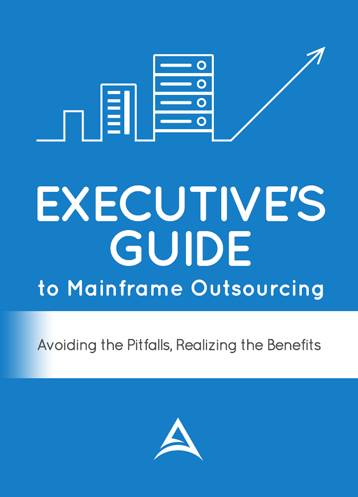 You can also learn more about our IT outsourcing consulting process, and whether you should outsource your mainframe.